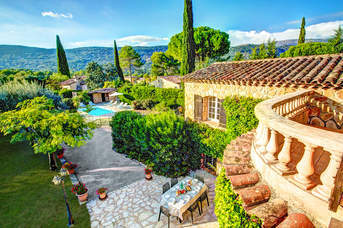 peymeinade testOur villas in Peymeinade provide a wonderful countryside location for your French Riviera holiday. Relax in the luxury of your own private pool, or explore the nearby local villages. The town of Grasse is just 5 miles away, and the charming village of St Cezaire sur Siagne, set on the hills with scenic views, is 6 miles away. The glorious beaches of Cannes are 13 miles from Peymeinade, and Nice, the capital of the French Riviera, is 28 miles away. You can purchase a range of local produce at the market, which visits Peymeinade every Monday morning. Choose some souvenirs along the high street’s selection of shops and boutiques, where you’ll also find a boulangerie, patisserie, butchers, pharmacy, florist and bank, as well as a supermarket either end of the village. Between Peymeinade and Grasse, you’ll find the Huilerie Sainte Anne, a traditional olive oil mill. You can see the process, sample the oils and pick up a bottle or two to take home. Peymeinade offers a range of eateries providing a choice of cuisines. 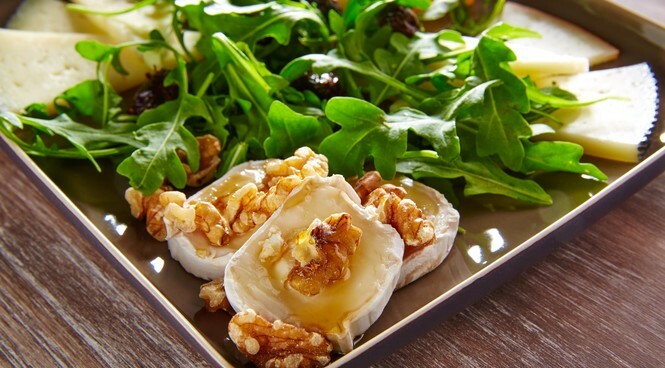 You will find local French restaurants serving traditional dishes, as well as a pizzeria and even a sushi restaurant. Enjoy a coffee at one of the cafés, or head to the crêperie for some delicious crêpes. The resort is also home to plenty of bars in which to sample the local rosé wine or enjoy a cold beer. The French Riviera coast is brimming with beaches. Cannes is 13 miles away and offers 4 miles of golden sands lined with restaurants and bars. There are also the Plage Mace and Zamenhoff public beaches, where you can rent sunbeds and parasols at a reduced price, or discover a choice of upmarket beach clubs. The Grottes de Saint Cezaire, 6 miles from Peymeinade, are a 3 mile long network of caves almost 40 meters underground. You can explore part of the network, viewing the stalactites and stalagmites, many of which are a rose colour. On the same site, there is an adventure park set in the trees where you can navigate rope bridges and swings, perfect for active older children and teenagers. Or, head to the Monts D’Azur Biological Reserve, which offers open spaces with rocky cliffs and slopes, meadows and woodlands. The Gorges du Loup, 12 miles away, is a narrow river canyon with stunning scenery. You can hike along the walkways admiring the views, or try kayaking. En route, why not visit the Florian Confiserie and Chocolaterie? Here you can take a free guided tour to see how the jams, candied sweets and chocolates are made, and of course sample one or two. Nearby Grasse town is 5 miles away and well-known for its perfume industry. The Musée International de la Parfumerie makes for an interesting visit, and large perfumeries such as Fragonard, Molinard and Galimard offer free guided tours. The town itself is a charming maze of cobbled streets and narrow lanes, and the impressive Cathedral Notre-Dame-du-Puy includes paintings by Rubens and Fragonard. Cannes, famed for its international film festival, is a wonderful city to explore, with its own port, upmarket boutiques and glorious sandy beaches. Alternatively, at just 19 miles away, Antibes makes for a wonderful day out. Embrace this town’s relaxed pace as you wander its charming streets lined with shops and cafés. Further afield, there’s the town of Saint Paul de Vence. Often thought to be one of the most beautiful villages in the area, it’s home to a large collection of art and sculptures on display at the Maeght Foundation. The village of Gourdon, 13 miles from Peymeinade, offers stunning views over the surrounding olive groves, and the historic Chateau du Gordon.